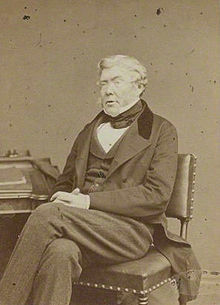 John Wrottesley was born on August 5, 1798, near Woverhampton, in central England. Wrottesley was the eldest son of Sir John Wrottesley and his first wife Lady Carolyn Bennet. Wrottesley attended Westminster School from 1810 to 1814. He graduated first class in mathematics from Corpus Christi College, Oxford in 1817. He began building an observatory in Blackheath in 1829 and began making observations in 1831 cataloging the right ascensions of 1318 stars. Because the celestial sphere of stars are stationary with respect to an orbiting and rotating Earth their position in the sky can be measured using a system of two coordinates, right ascension and declination. Right ascension is measured in hours and minutes and is the equivalent of terrestrial longitude on the celestial sphere. The other coordinate used identify star positions used with right ascension is declination. This is the angle in degrees from the equator of the celestial sphere that a star is. The equator of the celestial sphere is directly above the Earth's equator. For his catalog of stars' right ascensions Wrottesley was awarded a gold medal by the Royal Astronomical Society in 1839. Wrottesley inherited his father's title as Baron Wrottesley in 1841. With his elevation to Baron he moved his observatory from Blackheath to his new home at Wrottesley Hall. He served as president of the Royal Astronomical Society from 1841 to 1842. He served as president of the Royal Society from 1854 to 1858. A crater on the moon is named after Wrottesley. Wrotteseley died on October 17, 1867.